Welcome to the new patient center for Franklin Family Eyecare! We understand that your time is precious and that you need an optometrist who is professional, yet convenient for your lifestyle. In order to make the transition to our office smoother for you, we have created a New Patient Center with everything you need to get started. Start by scheduling an appointment time ahead of your visit. We’d appreciate if you arrive 15 minutes prior to your first appointment time to allow enough time to complete any paperwork, if necessary. Please be sure to let us know if you have any special needs or allergies. Be sure to bring a copy of your vision insurance card and any other medical insurance cards you have if you are seeking insurance coverage for a portion of your fees. You can review the insurance plans our eye clinic currently participates with. For convenience, and to minimize wait time, first time visitors and patients are encouraged to fill out our secure patient health history forms online. If you currently wear corrective lenses, please be sure to bring all the eyewear you currently use, including any contacts, prescription glasses, prescription or non-prescription sunglasses and reading glasses. If you wear contacts that were prescribed elsewhere, bring a copy of your most recent contact lens prescription. In particular, please bring a list of any prescription or non-prescription medications you are currently taking or that you took on a regular basis in the past. Include supplements such as vitamins, herbs and other non-traditional remedies you may use. Include the dosages you take for each medicine or other substance, and how long you have been taking them. Finally, prepare and bring a list of questions or concerns that you would like to discuss with the doctor. If you are interested in specialty services such as contact lens fitting or laser surgery evaluation, be sure to mention this — both when you schedule your exam and when you check in on exam day. Leslie, Deborah and Maribel, our friendly office staff, are the first smiling faces you will see when you visit our office. To complement our modern facilities, our knowledgeable visual testing team, Maribel and Tawe, work with the latest advanced technologies to best assess the health of your eyes. Next you will meet Dr. Josephine, our highly-skilled Optometrist. She will complete the exam by inspecting your eyes using the latest technologies available, discussing personalized options for YOUR eyes, answering your questions, and probably sharing a few jokes in the process. Once done, and if vision correction is needed, you’ll be in the safe hands of our Optician, Nishaya, who will painlessly guide you through selecting a pairs (or two) of eye glasses to meet your needs. You will also be fully served if you are a contact lens wearer (or intend to be one). 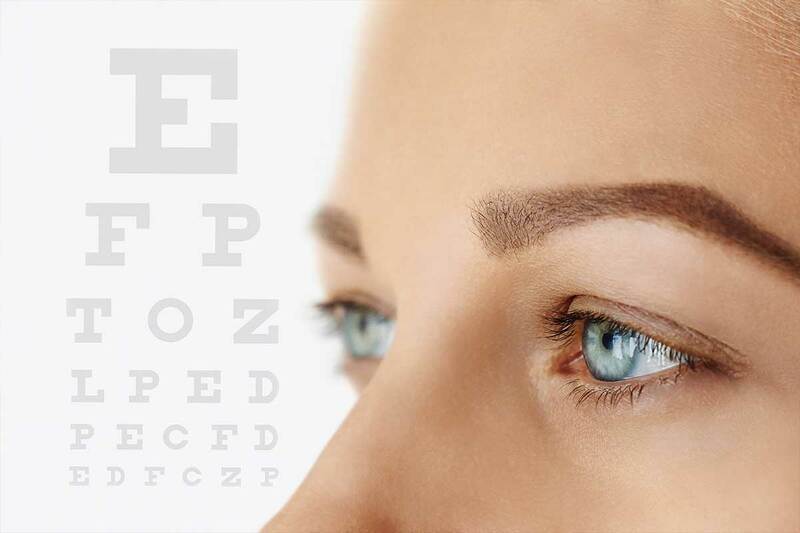 Using the latest technologies available today, Dr. Josephine will find the best contact lenses that will address personalized vision correction and comfort for your eyes. When you visit our eye clinic, our goal is that you will leave completely satisfied and confident with our doctor, staff and services! In an effort to make you more comfortable when you arrive at our office and to streamline the new patient process, you will be able to conveniently and securely complete all the necessary items prior to your first visit. At Franklin Family Eyecare, we strive to make sure the time we spend with you during your visit is quality time. Thank you for choosing us, we look forward to seeing you!.